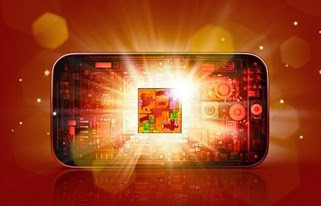 Graphics Processing Unit ( GPU ) of the Qualcomm Adreno 330 which is planted on 800 Snapdragon GPU is one of the most powerful and successful in the market . However , Qualcomm does not stop here . San Diego -based company is preparing the successor to the Adreno 330 in early 2014 named Adreno 400 .Quoted from Fudzilla , according to unnamed sources saying that the Adreno 400 will be present along with the latest version of the Snapdragon chip . If you look at the track record , usually Qualcomm introduces new chip at the International Consumer Electronics Show ( CES ) . CES 2014 event will begin on January 7 .The newspaper also reported that the Adreno 400 brings a significant increase in graphics processing . However, the Adreno 400 is rumored will not support OpenCL .For comparison , the Adreno 330 which is now capable of processing 3.6 Gigapixel per second , and make it as the fastest mobile GPU on the market . Adreno 400 is believed to be much faster than the Adreno 330 .